It’s time to become a mansion owner. 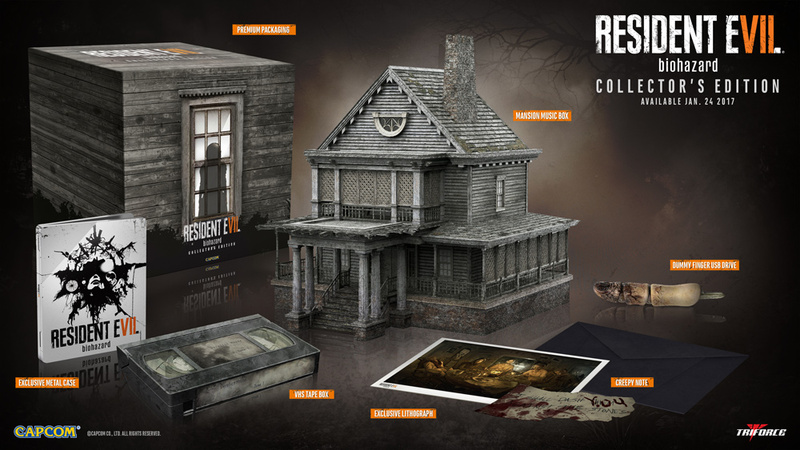 After scaring our socks off at Gamescom, Capcom has now revealed Resident Evil 7's collector's edition -- and it's not for the faint hearted... or the financially minded. Costing a wallet-worrying $180, this special collector's edition will net you six unique items, including your very own mansion. An ornately detailed eight-inch model, this replica of the game's plantation mansion has its own speakers and LEDs, doubling as an incredibly creepy music box. It may only be eight inches, but in this economy $180 for a mansion is nothing to be sniffed at. This special edition will also include an exclusive metal case, a suitably grimy-looking VHS box, a bloody finger-shaped USB stick, an exclusive lithograph and lastly a creepy note. Well, they can't all be winners, can they? While Resident Evil 7 will be heading to PlayStation 4, Xbox One and PC on January 24th, this collector's edition will only be available on consoles. It's a taste of the future, a costly experiment and an uneven first step.